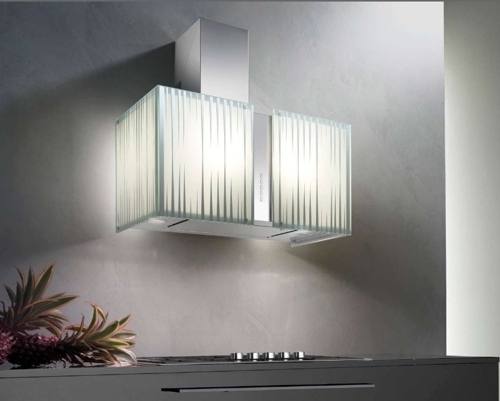 Futuro Futuro has some of the most striking range hoods on the market. 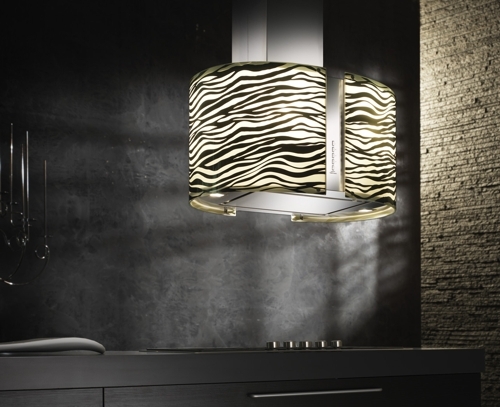 The Murano Collection features tempered glass panels internally lit for a dramatic effect. The body is made of stainless steel with 4-speed electronic controls. The grease filter is removable for easy cleaning in the dishwasher and the blower is only 3.2 sones. Choices include island or wall mount and vented or recirculating with a carbon filter. 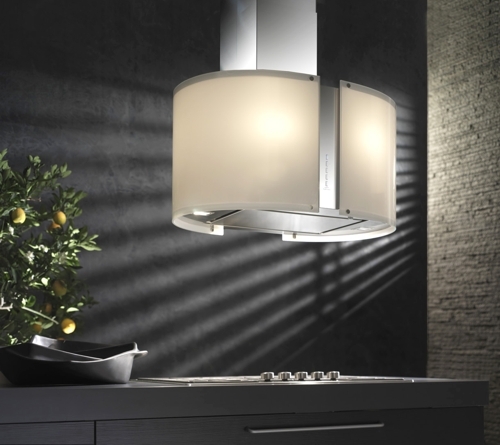 Futuro Futuro hoods are made in Italy and come with a 3 year warranty. 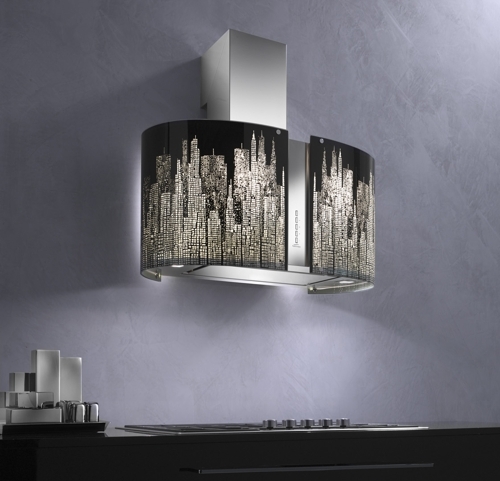 Gorgeous range hoods! You can buy them directly on Futuro Futuro’s website, or by phone at 800-230-3565. Apparently, this is only 4 out of something like 90-100 models they have. Lots of designs with glass, neat curved shapes, etc. 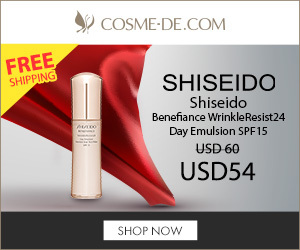 Thanks for the tip! Bookmarked 4 sure.